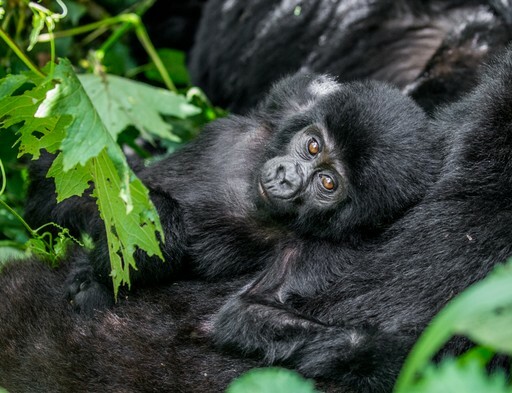 Fully emerged from the dark shadow of its past, Rwanda’s diverse and beautiful landscapes tempt visitors with a fantastic array of wildlife and adventure. 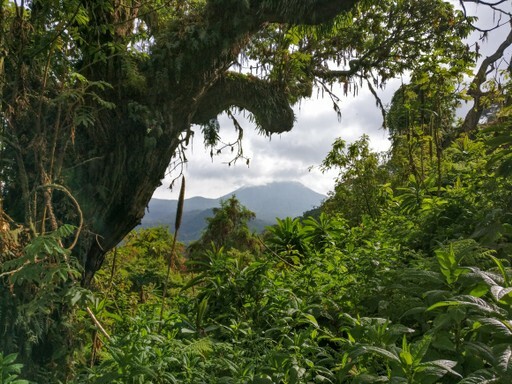 One of the main draws of this tiny country is a visit to the endangered Silverback Mountain Gorillas in the Volcanoes National Park – an incredible experience not to be missed. There’s much more to explore under these African skies, from the capital of Kigali to the sandy shores of Lake Kivu. Rwanda’s rolling patchwork of hills make for some great cycling and hiking terrain, while a string of volcanoes rise up in the north and rainforests shelter bountiful wildlife. There are many wonderful experiences to be had in this jungle-clad nation. For further inspiration take a look at the trip ideas put together by our trusted local experts at the foot of this page, but in the meantime here are our top three things to do in Rwanda. Some of the world’s few remaining mountain gorillas make their home in the bamboo forests of Rwanda’s Volcanoes National Park. Coming face to face with these gentle giants and seeing the playful tumbling of their young is a profoundly moving experience. 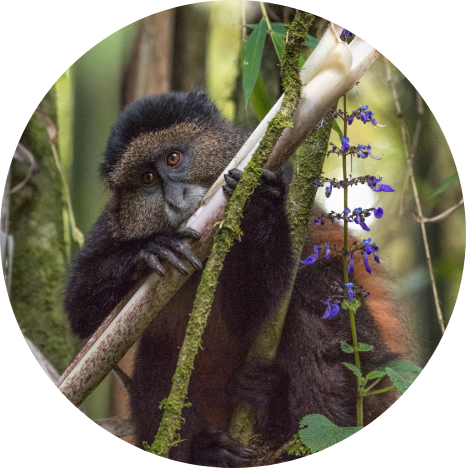 Head south to Rwanda’s Nyungwe Forest National Park to meet a troupe of other colourful characters, including chimpanzees, as well as owl-face, mangabey and golden monkeys. The Igishigishigi Trail leads through Nyungwe, with its thrilling 50m high canopy walk. The Virunga Mountains in the northwest provide one of East Africa’s most majestic panoramas. This string of eight volcanoes rises up along Rwanda’s borders with the DRC and Uganda. Mount Bisoke has a stunning crater lake to entice you to its summit, or you might embark on a two-day trek to the country’s highest peak, Mount Karisimbi. Rwanda is known as The Land of a Thousand Hills, so if the volcanoes are too lofty, there are plenty of more gentle paths to tread. While the capital of Rwanda buzzes with a sense of forward-looking optimism, the events of its recent troubled past are ever-present. Visiting The Genocide Memorial Centre is an important if difficult stop - an emotive experience that highlights the courage and resilience of the Rwandan people. The city lives on though, transforming itself as cities do, with a thriving art scene and coffee culture, sparkling skyscrapers and a lively ‘Old Town’. When should I visit Rwanda? Most come to Rwanda for the gorilla-trekking, which is technically a year-round activity. The optimum hiking conditions however are the dry months from mid December to early February, or the warm summer months from June to September. Though it's fine to visit outside of this time, rain can make steep paths slippery; the malaria risk is also markedly higher. If seeing chimpanzees are your priority, the rainy seasons are preferable; these fall mid-February to early June, and mid-September to mid-December. In the dry season, chimps travel further into the forest to find food and are therefore harder to find. 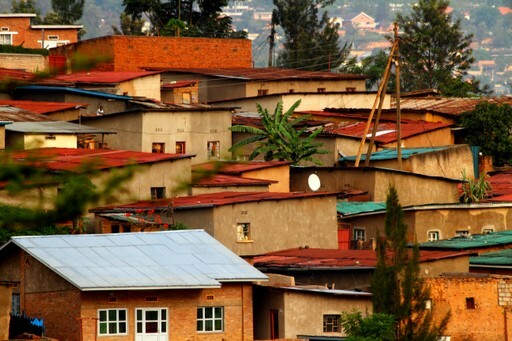 Weather-wise, temperatures vary depending on altitude, but averages at around 21 degrees C in the capital, Kigali. Rain is heavy and persistent March to May, but then dry during the summer months of June to mid-September. As these are also prime gorilla-viewing months, the summer is deemed the best time to visit. Create your bespoke holiday to Rwanda!